Karen Frazier writes spiritual, metaphysical, paranormal, and vibrational (energy) healing books, articles, and blogs that explore topics such as dream interpretation, reincarnation, life between lives, life after death, energy healing, crystals, ghosts, psychic phenomena, and the survival of consciousness after death. She is also a columnist for Paranormal Underground magazine, writing a monthly metaphysics column and a dreams and symbols column. Additionally, Karen writes cookbooks, nutrition, and reference books and offers energy healing sessions and classes. Keep up with the latest events and book releases, and receive special articles written just for Karen's readers. Scroll to the bottom of this page to sign up for Karen's newsletter. Meditation: Learn a simple Buddhist-inspired daily singing bowl meditation. Second Degree Reiki Class in Vancouver, WA 5/19/19. 12:30 to 4:30 PM at Firstenburg Community Center in Vancouver, WA. Sign up here. The documentary film All Around Us premiered at the end of March at the Oregon Ghost Conference in Seaside, Oregon. The film looks at the life of psychic medium Seth Michael and some of his psychic friends, including Karen. Discover how psychics see the world and take a peek inside what having these extraordinary gifts looks and feels like and what they mean for humanity. ​Aprovecha la sabiduría milenaria del Feng Shui y mejora tu vida. 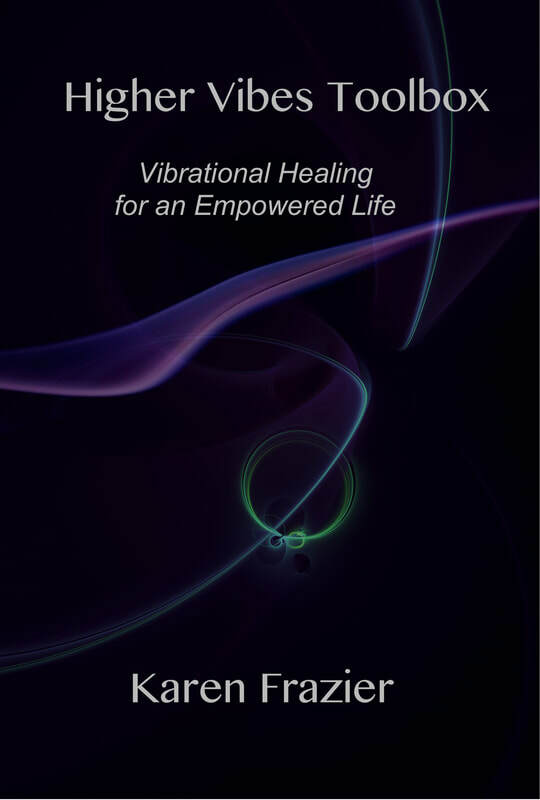 "As someone experienced in energy work and healing this was still a very insightful piece that I wish I would have had YEARS ago. It has really impacted the ways I think about things and added quite a few tools to my tool belt.​"